From The Speed Merchants. Pg. 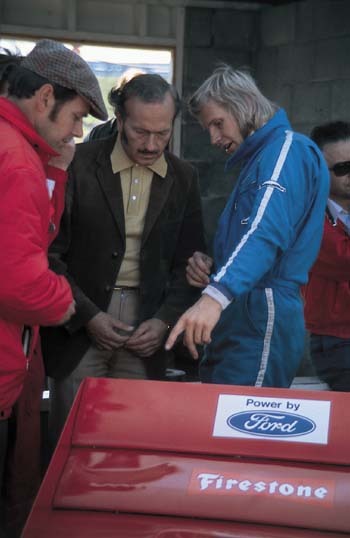 139 (Top right) Swedish driver Reine Wisell points out something on the rear wing of his Lotus to Colin Chapman.